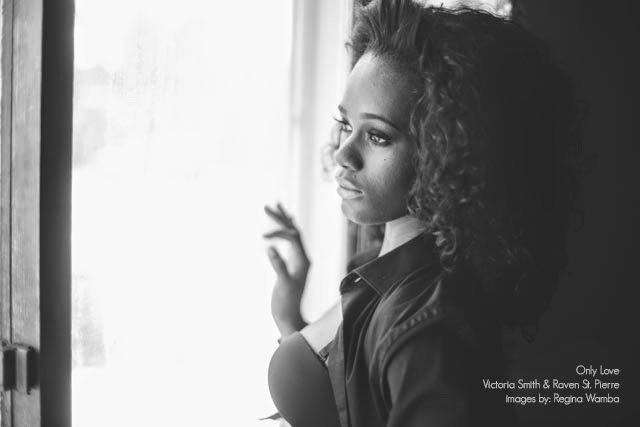 Victoria H. Smith: Interview with cover models Elly Olson and Gabriel Allen! Interview with cover models Elly Olson and Gabriel Allen! Boy, my co-author Raven St. Pierre and I have a treat for you today readers! Curious about those all-stars of the cover of our book ONLY LOVE? Well, you're in luck! The models behind the cover Elly Olson and Gabriel Allen let us pick their brains about the details behind the shoot and gave us some fun facts about themselves so without further ado, here's the interview! Welcome, Gabe and Elly! Thank you so much for taking the time to interview today. Our readers are just buzzing about the cover behind our upcoming release ONLY LOVE (Releases: 11/18/14 :D) and we thought it would be great for them to get to know the people who brought our Aubrey and Adam to life! First off, modeling is such an interesting profession! How did you get into it? Gabe: I first got started by taking professional pictures that were going to be used for business purposes. I had heard from friends that I should give modeling a shot, so I started a modeling profile on Model Mayhem to see if anyone would want to shoot with me and build my portfolio up. I shot with a handful of photographers, and had half a dozen paid photo shoots. Apparently in Minnesota to get any paid without an agency representing you is a big deal. I had a couple bad experiences, and I took about a year off from modeling. It’s been the last couple months I have restarted my career. Before I was just doing it and letting things happen if they were going to happen. Now I put myself out there and I am trying to make a full time income at it. Elly: Other then wanting to be an attorney and then a judge someday, I have always wanted to be a model since I was a little girl. I hated looking at fashion magazines and not seeing girls with my skin tone, so I decided to work hard to change that. When looking at magazines, I always think, “that’s cute, but will it look good on me (dark skin girls).” Nowadays, when black girls are used for commercials or magazines, they are almost always mixed or light skinned. Don’t get me wrong, I love my light skinned sistas, but it’s time team dark skinned make an appearance, and I am more then honored to represent, haha. I want to be a model because I want to be a role “model” for girls like me. I want to teach them that their black is beautiful. My motivation to fill the void of black girls in the fashion industry is what got me into modeling. I’ve only been modeling for four months, but have done so much already. Although I am with two agencies, majority of the jobs I get are from my own hard work and dedication. Gabe: Working with Regina – Mae I Design and Photography is always awesome, she is creative and I always have a good time shooting with her! It was a relatively short shoot. We talked out the details, looked over some of the inspiration, and picked the ones that would work best. Then started shooting. One thing the readers took notice of was how swoony you both are on the cover! What was it like working together? Elly: Gabe and I met for the first time on the day of the shoot. We did not even know each other prior to the shoot so we are both surprised as to how the pictures turned out. He is such a sweetheart and made sure I was comfortable through the whole thing. There were times where it seemed as if we forgot about our surroundings and indulged into our characters, which is all part of acting. The picture where I am on top of Gabe looking down at him, I remember telling him to lie down because I was about to dominate him, haha. I remember holding my breath through half of the shoot because I did not want to breathe heavy on him, but at times I had to let the breath out so I breathed really hard in his face J…luckily I made the both of us eat a mint before the shoot started or else that would have been terrible. I hate to break it to your readers, but the shoot was strictly professional and at times awkward with kids running around the house. Okay, now for the fun stuff. We’re all hungry readers over here! You’re probably really busy, but when you find free time to read what’s on your Kindle? Gabe: I don’t have a kindle. I have the good old fashion books. And I’m more of the study kind. I like to read things that will teach me something. Like psychology, nutrition, weather reading, body language (which helps with modeling, body postures, and all that jazz). I know, pretty boring! What T.V. show are you watching these days? Elly: Oh My Gosh!! Don’t even get me started on T.V. shows. I am addicted to Revenge, Scandal, How to Get Away with Murder, Crisis, The Blacklist, and every single housewives shows on all of the channels. We will be here all day if I list the rest of my guilty pleasures. The attorneys at my firm always joke that I will be the next Olivia Pope. Other than the sleeping with the President part, I concur. I mean have you seen my husband? I wouldn’t need to sleep with Barack. I’ll let Michelle keep him. Haha, I’m only joking…Maybe… J. No, but seriously, on Thursday nights, I turn off the lights in my apt, light some candles, pour myself several glasses of Moscato (just so I wouldn’t have to get up of course), and lay on my couch just to watch Scandal and HTGAWM. Changing it up. What’s something you can’t live without? Gabe: I couldn’t live without my family. They have been supportive of everything I have pursued. Without them, I wouldn’t be able to do any of this. Elly: Other then God and my family, I absolutely cannot live without Mangoes and Chipotle. I look forward to mango season every year. During that time, I swear I eat 2-4 mangoes a day. I think I may love Mangoes and Chipotle more than my husband… is that wrong? Last question now! Where do you see yourself in five years? Gabe: I can’t tell the future. But I would say that I would be training at my own gym and hopefully modeling to make a full time income at it. Elly: My mom always tells me “life happens when you are busy making plans.” She also says, “if you want to make God laugh, tell him your plans.” With that being said, I see myself being exactly where I am supposed to be. Hopefully, that includes me being a lawyer who is also a top model and a mother of 4. A girl can only dream right? Who says I can’t have it all? Okay, we lied. One more question. How can readers find out more about you and your work? Gabe: They can visit my Facebook page and check out the new projects I am working on. https://www.facebook.com/GabeOndrey. Elly: Your readers can get updates on my journey by liking my Facebook page by going to www.facebook.com/modelellyolson on their computer, or by simply searching for Model Elly Olson. They can also follow me on Instagram @model_elly_olson. Yeah! Thanks so much for joining us today, Gabe and Elly, and for bringing Aubrey and Adam to life for our wonderful readers! We’re all bound to see you both on many more book covers in the future! I love cover model interviews...it's so interesting to see the people behind the book.